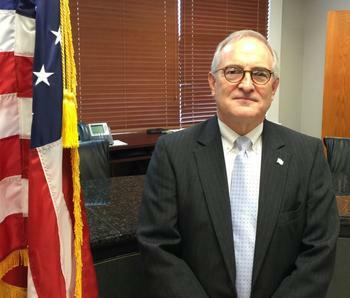 Guy Nowell is serving his second term as Neshoba County's Chancery Clerk. He was elected in November 2011 and took office in January 2012. The Chancery Clerk occupies perhaps the most unique and diverse office in all of Mississippi government. The various duties given the Chancery Clerk by statute, or assumed voluntarily by the individual Clerk, cover a wide range of vitally important functions. The duties and functions of the Chancery Clerk are governed by an elaborate assortment of statutes and court rules, along with procedures established either by the State Department of Audit or the Department of Finance and Administration. As the Clerk of the Board of Supervisors, he records the official minutes. As Treasurer, the Clerk prepares the claims docket and payrolls for all departments of the County, and after Board approval, he writes and signs checks for payments. As public recorder, the Clerk handles the recording and storage of several types of documents and maintains various indexes that aid people in researching these records. The primary records are deeds and mortgages relating to real property, but the Clerk also records construction and condominium liens, federal tax liens, Lis Pendens (notices of pending lawsuits) and military discharges. The Clerk is in charge of the storage and authorized disposal of older land rolls, tax receipts and many other County records after their active use lifespan. As Clerk of the Chancery Court, the Clerk handles a multitude of tasks such as matters of estates, guardianships, conservatorships, divorces, child custody, adoption, property disputes and other matters of equity.